"Jacob, tuck in your shirt." "Micah, come stand by Mommy." The 6-year-old twins shuffle and twirl around the Tarrant County Family Law Center lobby as their mother tries to coax them into the courtroom. It's an unusual day in court balloons and stuffed animals cover the witness stand, children chatter and cry, and parents amble anxiously in their Sunday best to control the chaos. 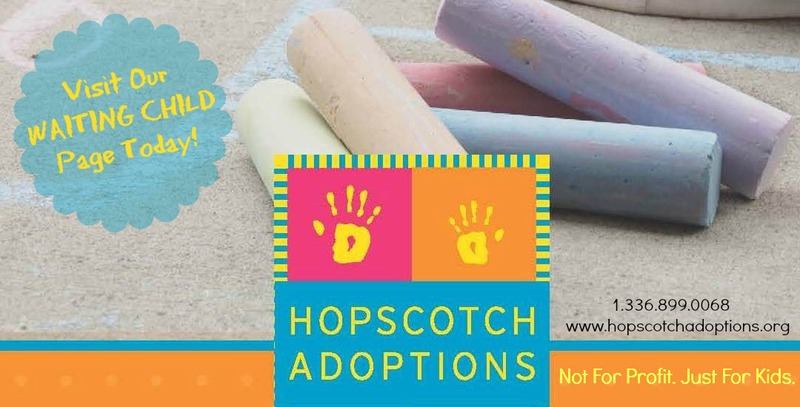 Unbeknownst to the fidgeting children, it's one of the biggest days of their lives the day internationally adopted orphans receive their Texas birth certificates and become United States citizens. Parents Rafe and Laurie Wright, along with sons Jacob and Micah, approach the bench. They raise their hands with tear-filled eyes before the judge and promise to "love the boys forever and ever." 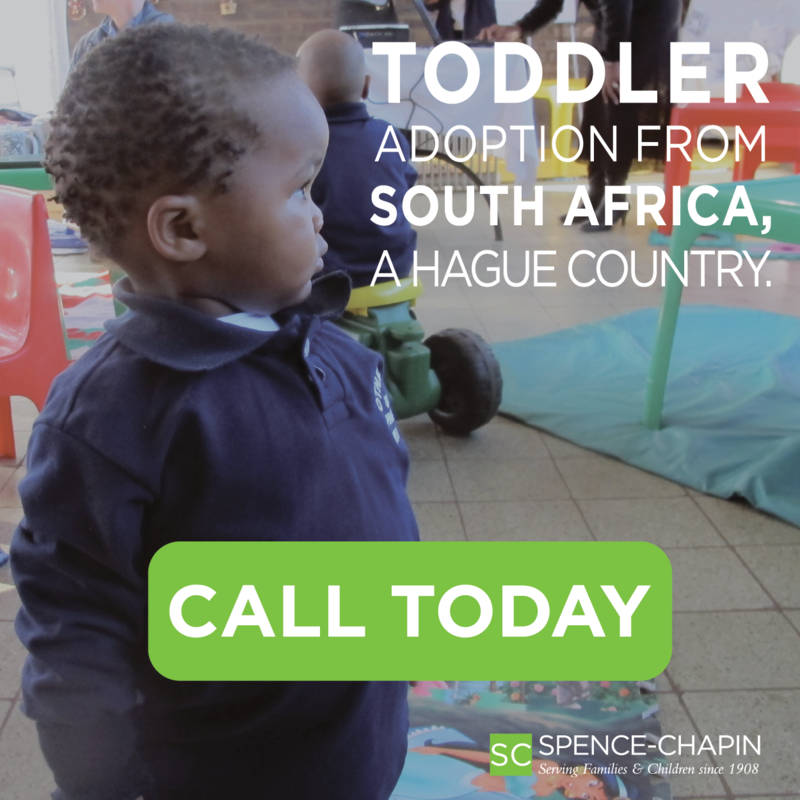 It's a moment that concludes their three-year journey of international adoption. "This day is closure for us," Rafe said. "It's a celebration for our family, and it brings us security knowing the boys are now legally and undeniably ours. And it's a day to revisit and celebrate what God has done in our lives." The pair married later in life, and as career people Rafe an associate pastor at McKinney Fellowship Bible Church and Laurie in country club management the couple wasn't sure that children were part of God's plan for them. But after about six years of marriage, "I felt like there was something more to life than just work," Laurie said. "So we decided to try to have kids." After unsuccessfully trying for four years, Rafe and Laurie gave up. Rafe was unwilling to take matters into their own hands any further, believing that it wasn't God's will for them to have children even through adoption, he said. But Laurie couldn't silence the sound of her ticking clock, and she continued to bring up the subject of children about every six months. In August 2003, Rafe finally told Laurie, "We're getting too old now. You either need to decide to go for it or we need to stop talking about it. Pray about it for the next four days, seek wisdom from God, and then tell me what you think." Four days later, she came back with her answer: "We need to adopt." Although the couple nearly went through another agency, they chose Buckner Adoption. Months of pushing papers and making plans ended, the day finally came when they received the call: it was time for the referral. "As we drove to Buckner to meet withour adoption counselor, Rafe lectured me the whole way. He said, 'This is just one referral; they may not be the kids for us. So I want you to think very logically about it, and don't go overboard and get too emotional.'" As they sat down and received background information on the boys their family history, how long they had been in the orphanage, photos Laurie froze. "She was stoic," Rafe said. "After all this time, I just knew she would get emotional. But she didn't say or do anything." "I was scared to death," she said. "These were grown little boys. I mean, I knew they were older, but it just hit me and I thought, Oh my gosh, is this the right thing?' I don't know. I froze." Although Rafe knew right away, thinking "those are my boys," Laurie didn't know. Rafe wanted her to know as deeply as he did that these were their children. Again, four days later, after much prayer, Laurie came to Rafe with her answer. "I think those are our boys." Rafe responded, "It's about time! What took you so long?" A month later the couple traveled to Russia to meet the boys. Poised with gifts, a video camera and tripod, the couple walked anxiously toward Orphanage #2, not knowing what to expect. But before they could even get the camera set up, the boys came tearing around the bushes screaming, "Papa! Papa! Papa!" Each grabbed one of Rafe's legs and wouldn't let go. Next was Laurie's turn, "the boys ran to hug me, screaming, Mama! Mama! Mama!'" "I had heard so much about attachment issues, and that they might be afraid of you," she added, "so we really couldn't have asked for a better meeting. It's what we hoped for, but never expected because you just never know." The Wrights were able to spend a lot of time getting to know the boys, Laurie said. "And we were really impressed with the orphanage. There was obvious love and care by the caretakers, and the boys were not afraid of them." 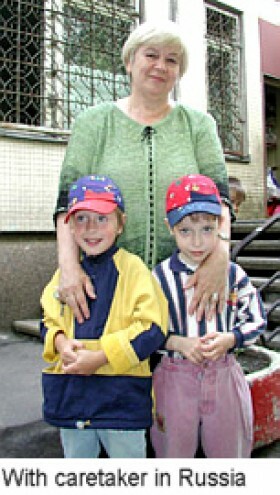 "They were very good, sweet boy,s" said Ludmilla, director of Orphanage #2 in St. Petersburg . All that is known of the boys' past is that they were born premature to a 39-year-old mother and taken from her by Child Protective Services because she showed no interest in caring for them. They had been in Orphanage #2 for 14 months, but no one in their family had visited and no one had shown any interest in adopting them. "Ludmilla told us that the boys had been pleading with her for years, every time parents would come and get their children, asking, 'Why don't we have a mama and a papa?' There were no records of anyone ever coming to visit the boys before." The orphanage today holds many children, just like Jacob and Micah, who are longing for a family of their own. After waiting the typical couple of months between the first meeting and the final court date, the Wrights returned to the orphanage to throw the boys a going-away party on their last day. "We look happy in the photos, but there were a lot of tears at that party," Laurie said. "We were trying to make it a celebration but kids are kids. They're happy for their friends, but they're still wondering, When is it going to be my turn?'" "These poor children think that there's nobody who wants them, but there are tons of people who do and that's sad. But what else can you expect them to think?" Within a few months of living in Texas , the boys had completely forgotten how to speak in Russian except for a few, secret phrases they shared between brothers, Laurie said. "They've really changed a lot. They've grown so much taller; they know English. And now they like peanut butter," she said. "And they used to never watch TV, but now they watch SpongeBob all the time," Rafe added. But that's good, because it's really helped with their English." Although there were a few tough moments with the boys in the beginning, "there were never any real attachment issues because the boys have been hugging on each other since they were born," Laurie said. "They have that bond they're best buddies. They're both loving and affectionate, and they have so much in common. We're thankful that they have had each other to grow up with."